Looking for that perfect wax in London Canada Water SE16, near Deptford SE8? Based in the heart of Canada Water, just 2 stops from London Bridge SE1 & one stop from the busy Canary Wharf E14. Get a silky smooth finish with limited redness in our Canada Water bodytonic clinic. 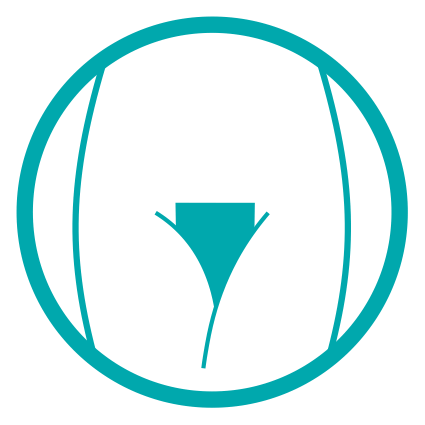 For our waxing we use a high standard ALOE VERA hot waxing product to help prevent ingrown hairs yet still manage to remove the shortest most stubborn hair. Our strip waxing is a creme base wax keeping the skin moisturised, with antioxidant-rich green tea which soothes and calms. Ready for an appointment? Book the total time you need by simply adding together the time needed for each single area. If you have any questions please just give us a call. Areas we cover are Canada Water SE16, near Deptford SE8 & Canary Wharf E14, Surrey Quays, Rotherhithe & Bermondsey. ★★★★★ Sheena was really professional and has done a fab job of my wax. The bodytonic clinic is very clean and was a nice atmosphere. Will definitely come again. ★★★★★ Thank you for a near painless wax and brilliant customer service. Aloe Vera wax is great and left with the best results I’ve ever had! ★★★★★ Live in Wapping but happy to travel as its pain free and always great. Sheena is professional and knows what she is doing. Would highly recommend! ★★★★★ The practitioner was very professional and knows her field. 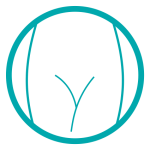 It is the first time I had an enjoyable waxing experience and I would definitely recommend to friends! Here at bodytonic clinic it pays to have more! Our waxing combinations are set up to save you time and money! Looking for a Thong Wax, Bikini Wax, Brazilian Wax or Hollywood? 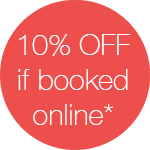 Book online and receive 10% discount today! At our Canada Water bodytonic clinic we try to take the stress out of waxing. We use professional wax and products to try and achieve this. Our aloe vera hot film wax is extremely calming on the skin and is used for delicate areas with course hair, such as bikini, underarm and face. We start with a aloe vera cleanser and soothing pre oil, then the wax which is melted to the perfect temperature is used to remove short stubborn hairs in those sensitive areas. Finishing off with a cooling cream. Our green tea strip wax is used for the larger areas with finer hair, such as legs and arms. It is a cream based wax so will leave skin feeling hydrated. Cleansing the area we then follow with a layer of talcum powder which acts as a protective layer for the skin. The wax is applied evenly and removed with paper strips. A layer of soothing cream is then applied. With Fast and efficient Waxing techniques you will be out in no time! We advise that prior to your waxing you always give yourself a good exfoliation on the area being treated . This will ensure all the hairs are ready for removal and give you the best wax possible. Here are some guidelines to ensure that your skin is cared for after your waxing. Heat reaction will be seen on the skin for several hours following treatment. This will vary from a mild to a much stronger reaction for some people. It is normal and will go down. If the aftercare advice given is followed the skin will return to normal within 24 hours. If any reaction is still present after this time or worsens, it may an allergic reaction to the wax. Please do not hesitate to contact us if you have any problems. Ingrown hairs occur when a new hair is trying to break through the skin and then curls back into the pore instead, often resulting in a spot. Hair removal can often worsen the situation, but there are few things that help. About 48hrs after your appointment, gently dry brush the skin. Following that do this 3 times a week, use a brush or mitt that you would scrub your body with on dry skin. Do this before you step into the bath or shower then if needed use a gentle exfoliator in the shower, facial exfoliators work well on those delicate areas due to their combination of abrasive and chemical exfoliators. Also they normally have hydrating properties. Using antibacterial body wash may help if the ingrowns are inflamed. Moisturise the area every day, which will keep the skin supple and help new hairs to break through. Other information: Hair needs to be about 1/2cm long for it to to be effectively removed. This will ensure you get the smoothest wax. To maintain waxing on these areas , I would recommend regular waxing, about every 4-6 weeks. Try to avoid shaving the areas in between sessions. If you are looking for a waxing today in Canada Water why not book online and receive 10% discount on your 1st single treatment. Here at body tonic clinic canada water health & beauty we offer waxing; Eyebrow, Lip, Chin, Facial tinting (eyebrow or eyelash), Underarm, Half arm Bikini or Half leg, Full Arm, Thong wax, Brazilian/Hollywood, Chest, Back and Full leg. If you are looking for a waxing today in Canada Water why not book online and receive 25% discount on your 1st combination treatment. Here at bodytonic clinic Canada Water Health & Beauty we offer waxing; Eyebrow, Lip, Chin, Facial tinting (eyebrow and/or eyelash), Underarm, Half arm, Full Arm, Half leg, Full leg, Bikini, Thong wax, Brazilian/Hollywood, Chest or Back. If you looking for waxing treatments in London,, London Bridge, East London, Rotherhithe, Bermondsey, Canada Water, Deptford or Surrey Quays SE16 then book online or give us a call! Located just next to Canada Water tube station and 3 minutes walk from Surrey Quays station our location is ideal for Bermondsey, Rotherhithe, Surrey Quays, Deptford, New cross and Canada Water SE16, SE8 & SE14 residents. South London – Canada Water, Bermondsey, Rotherhithe, Surrey Quays SE16, Deptford SE8, Greenwich SE10, Peckham Se14, Brixton, London Bridge, Waterloo, Borough, New Cross Gate, Lewisham, Blackheath, Catford, Dulwich, Forest Hill, Sydenham, Norwood, Crystal Palace, Penge, Anerley, Beckenham.